Bright provides photography services for events and conferences in Dubai and across the UAE. We specialise in this area to ensure that we give our clients the best photography and videography results every time. 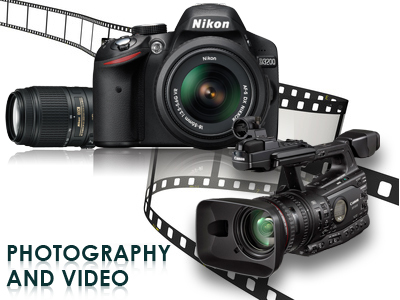 Our mission is to make high-quality videography and photography services easy, to a wide variety of clients, at an affordable price, providing a service that makes choosing and using us an effortless decision. We help our clients plan, capture, produce and save their memorable moments. We are the one stop, production house. This 1st step of the video production process is the planning, research, Scheduling and organizational work you do before the shooting starts. Without a good plan and organization the production of the video can become a grind! Will help you produce a video that you can be proud of! The script will include all the ingredients that will go into your production. The simple purpose of video production stage lighting equipment is to provide enough illumination in the scene so that the camera can accurately reproduce the image you are videoing. Always edit for your audience and “see” your video from their point of view and you’ll make videos that they’ll want to watch from beginning to end. Quick time, AVI, MPEG2, DVD , USB etc.